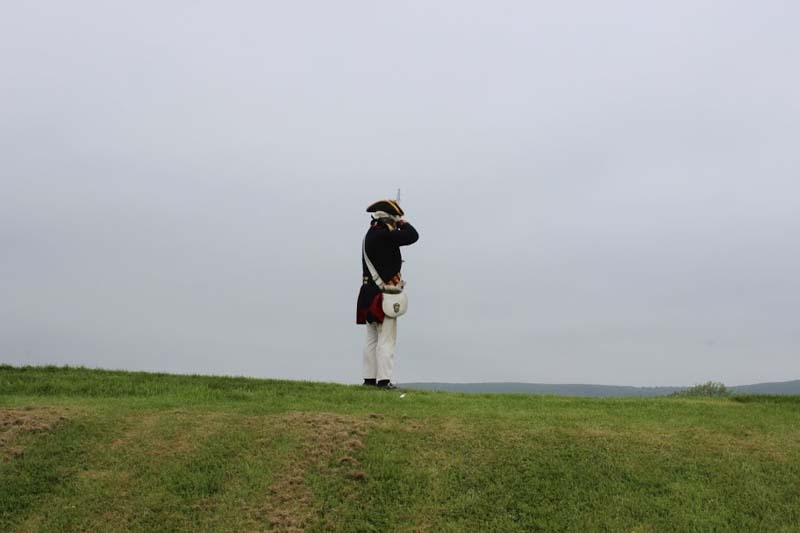 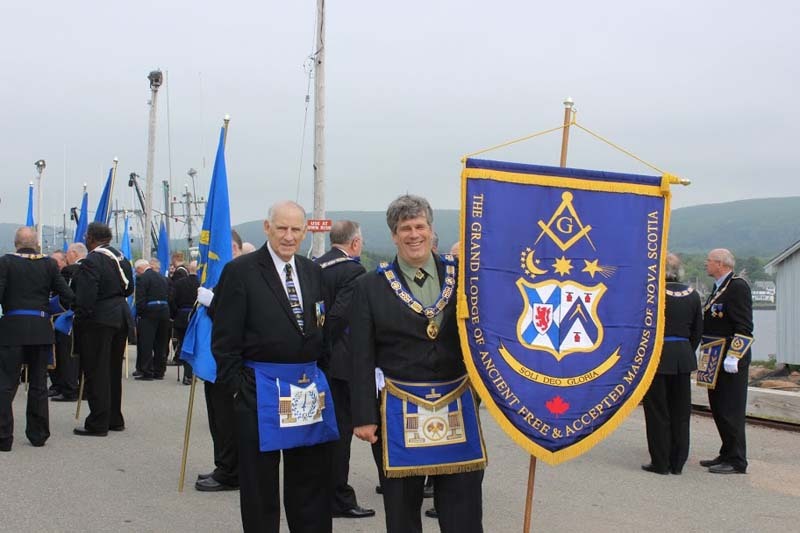 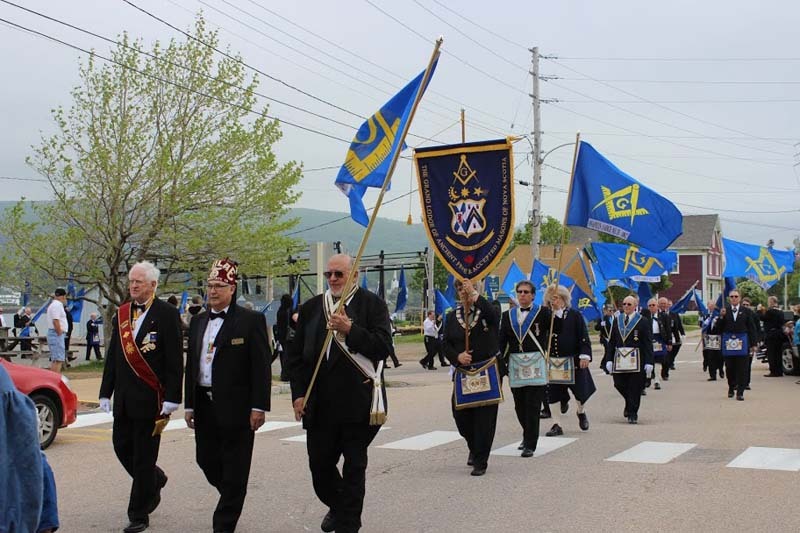 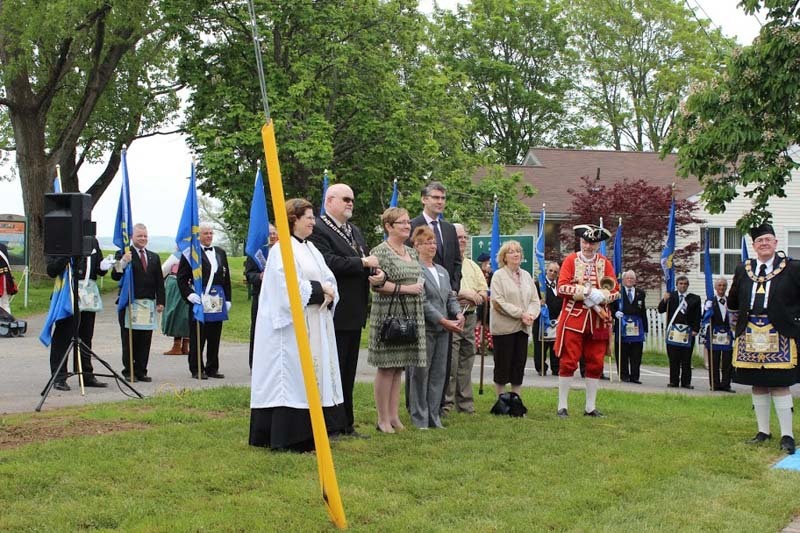 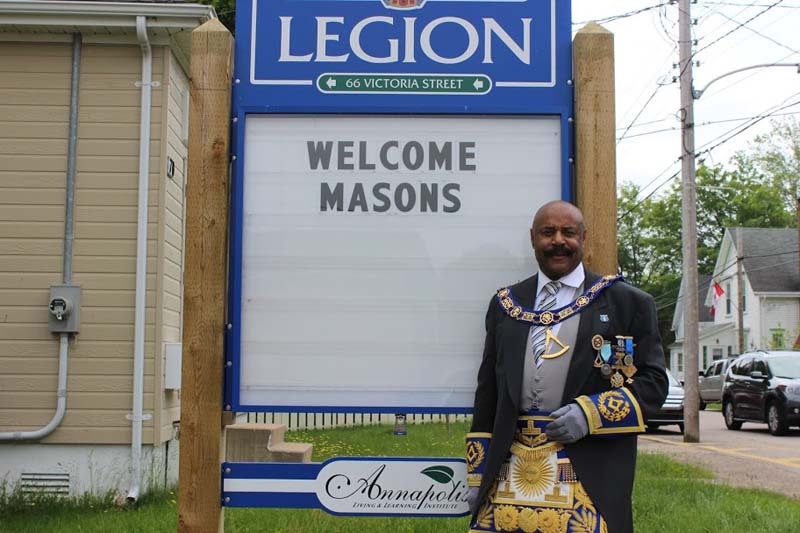 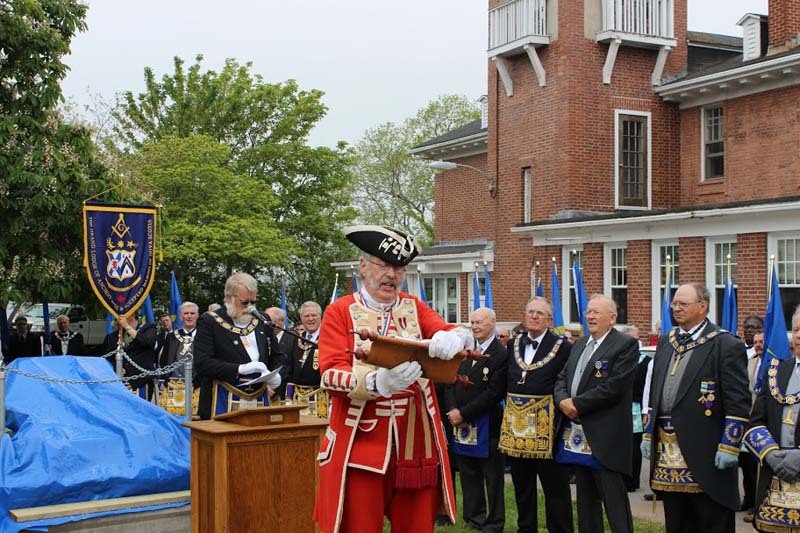 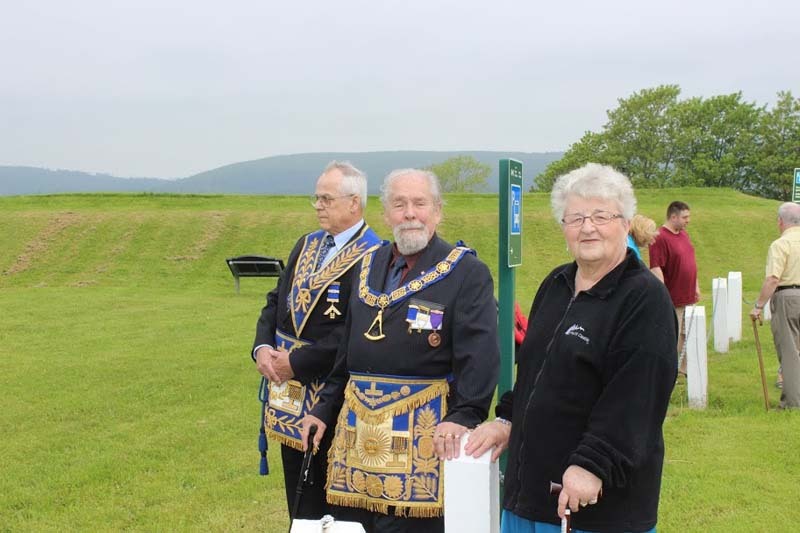 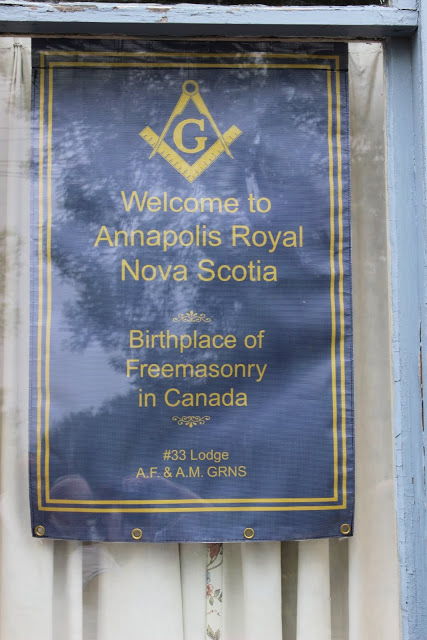 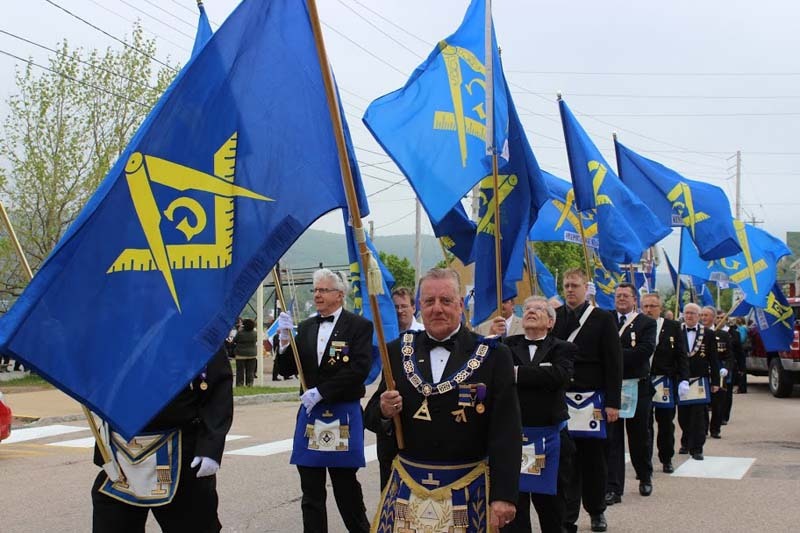 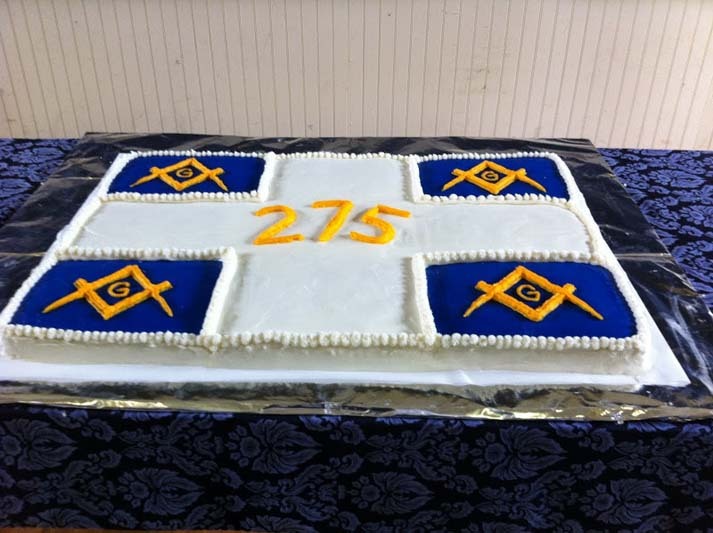 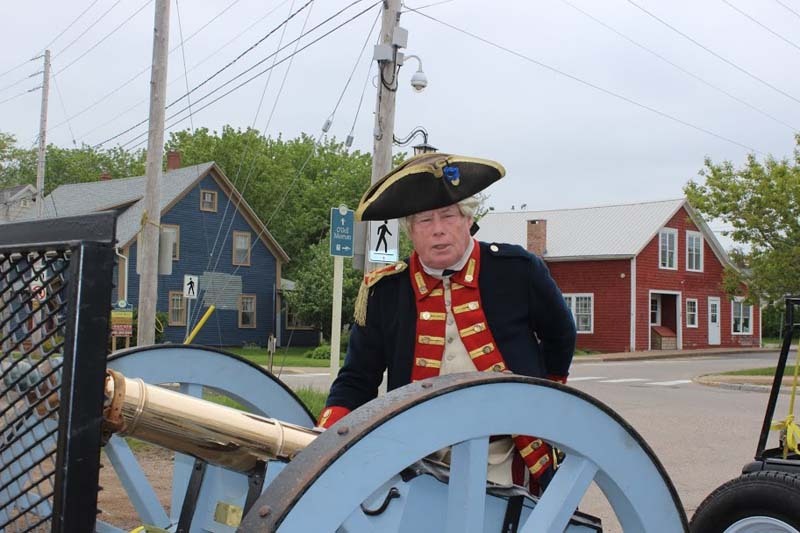 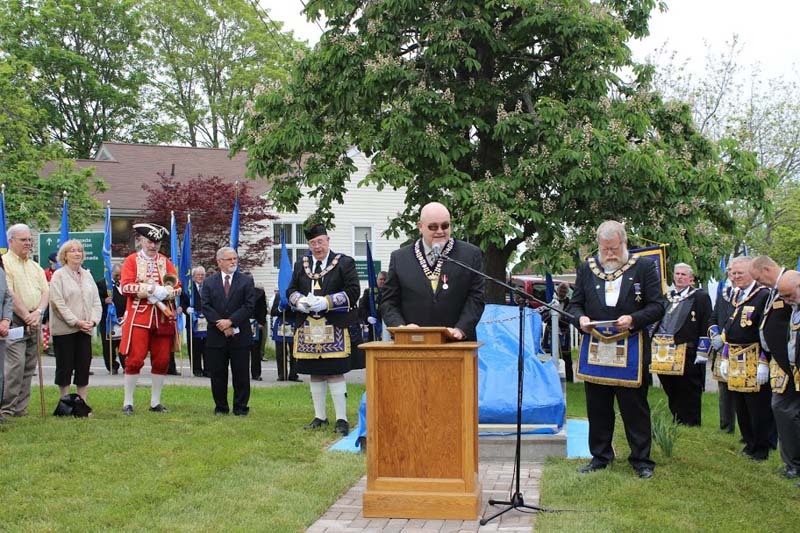 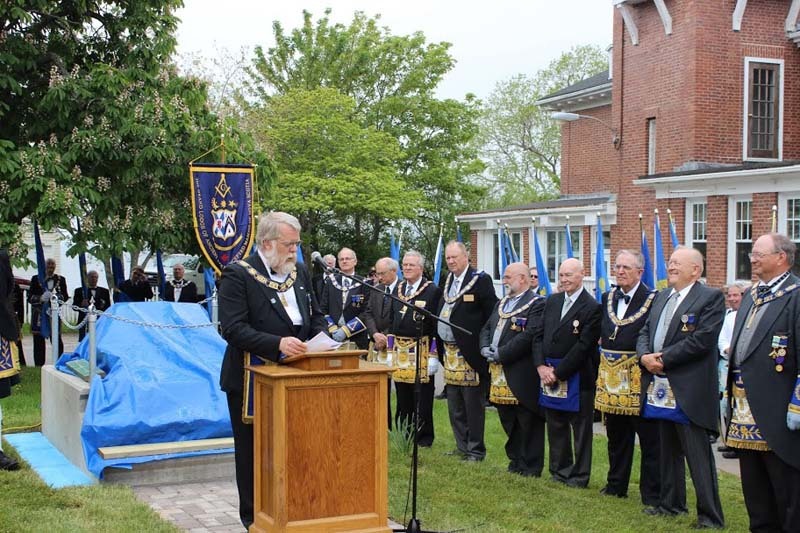 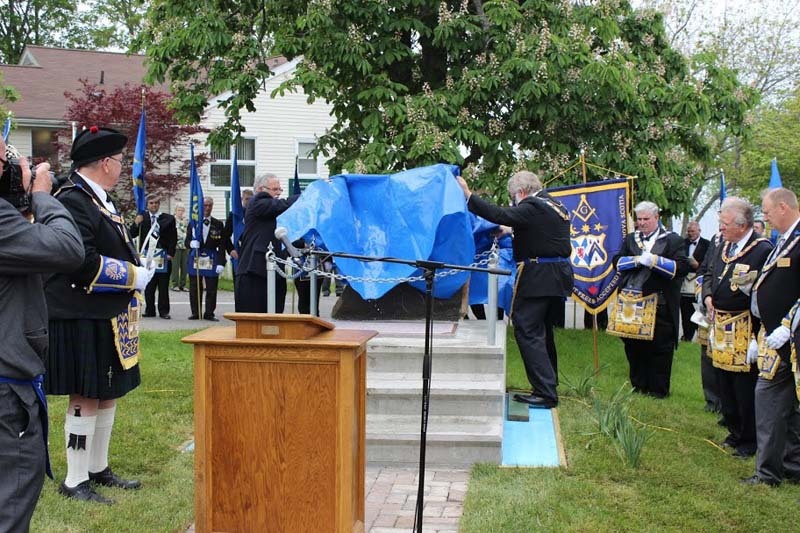 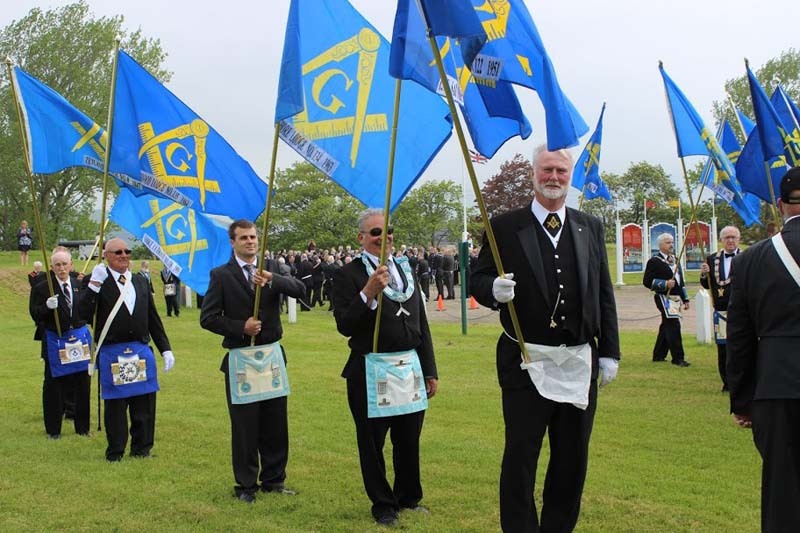 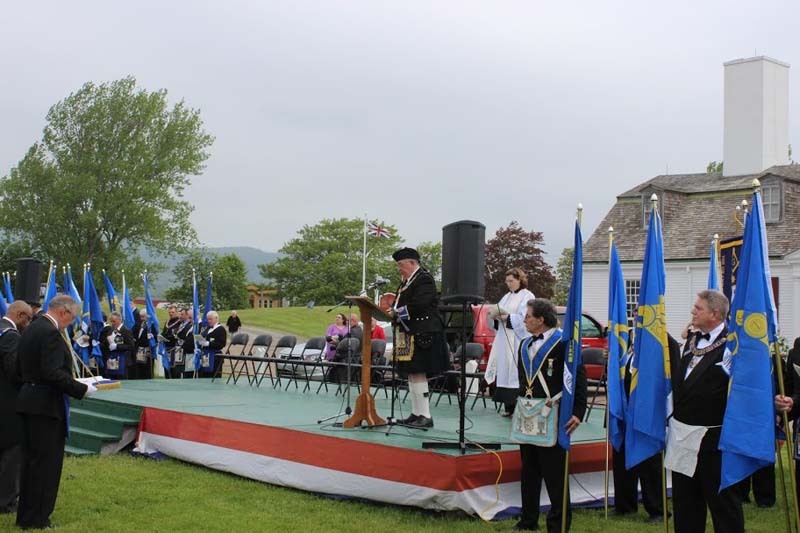 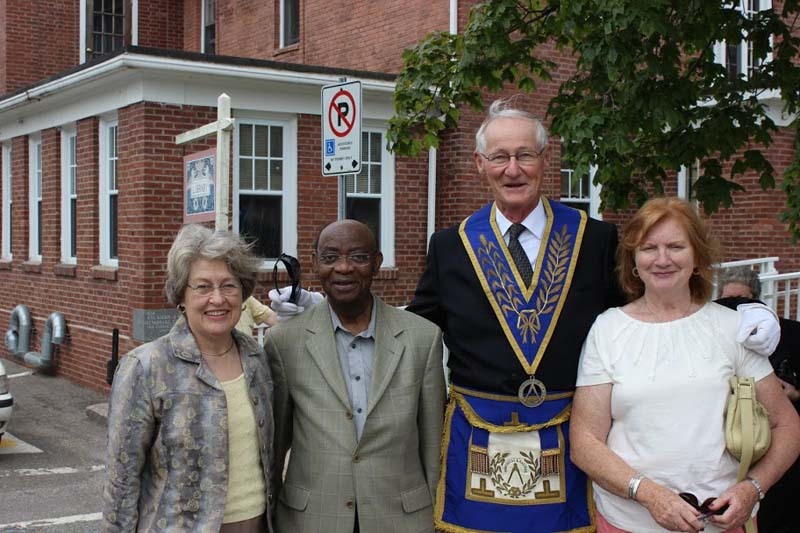 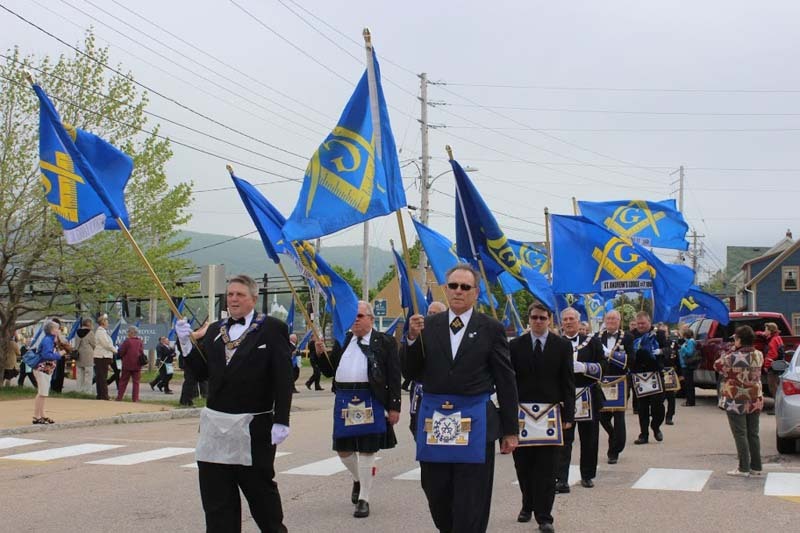 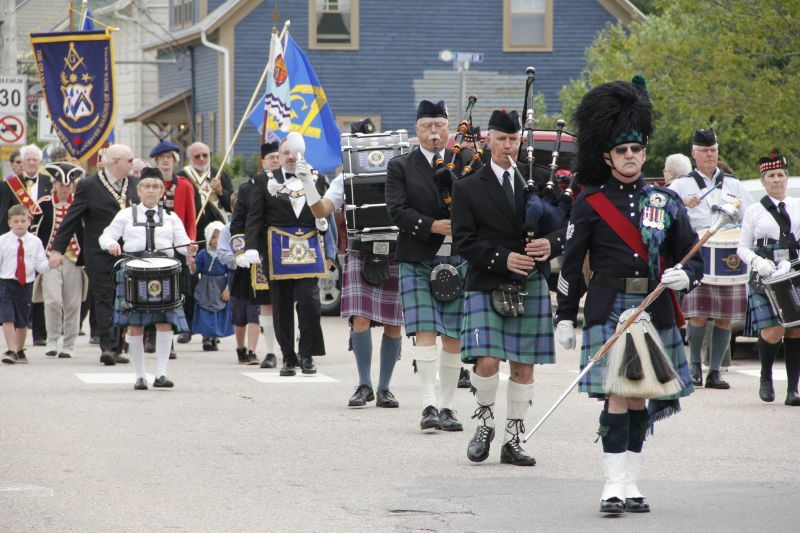 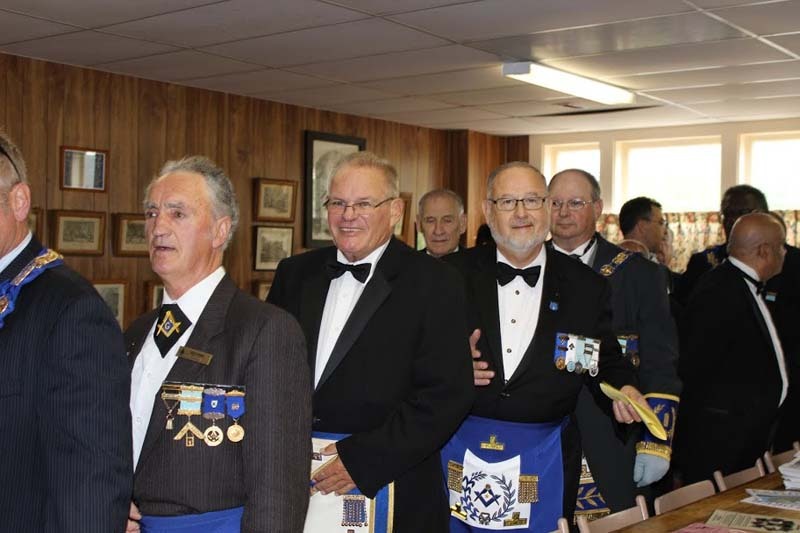 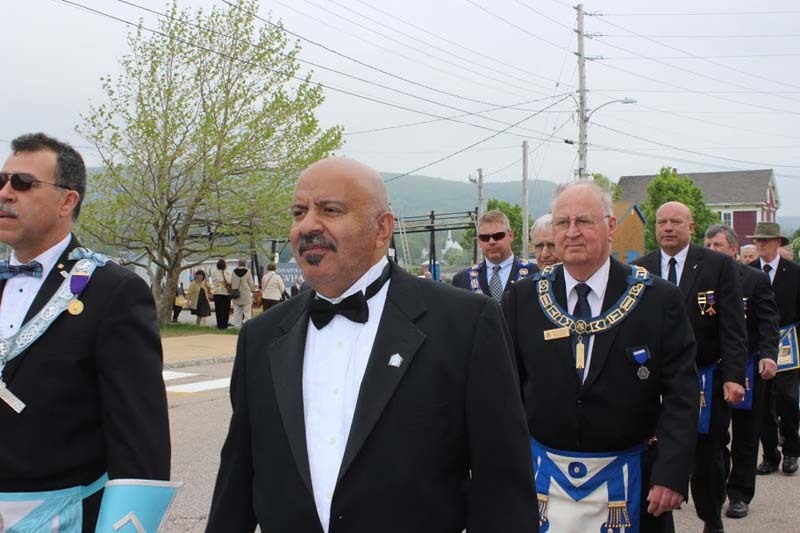 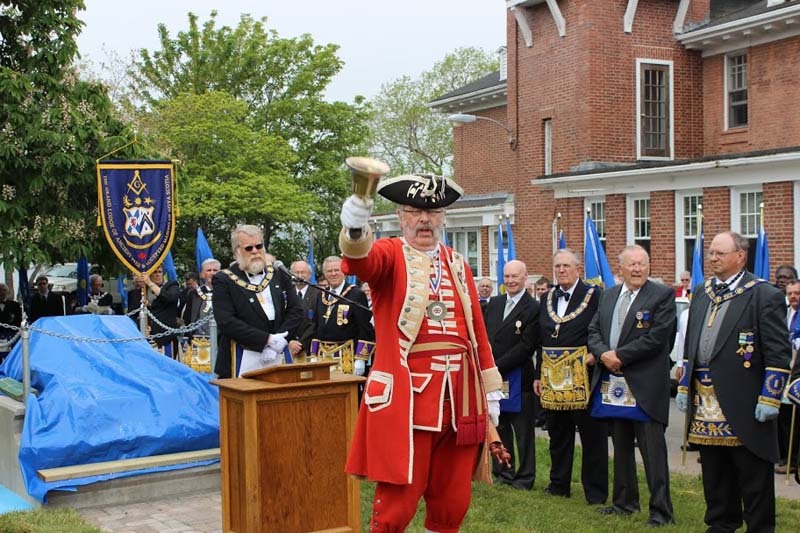 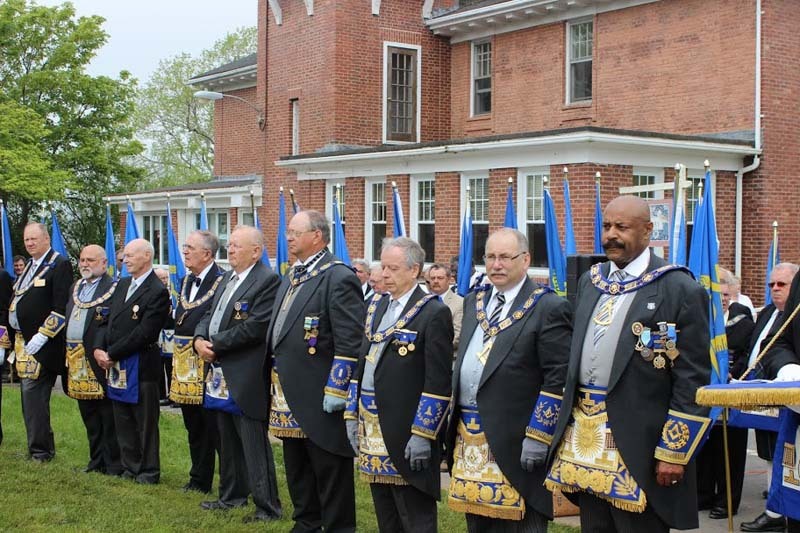 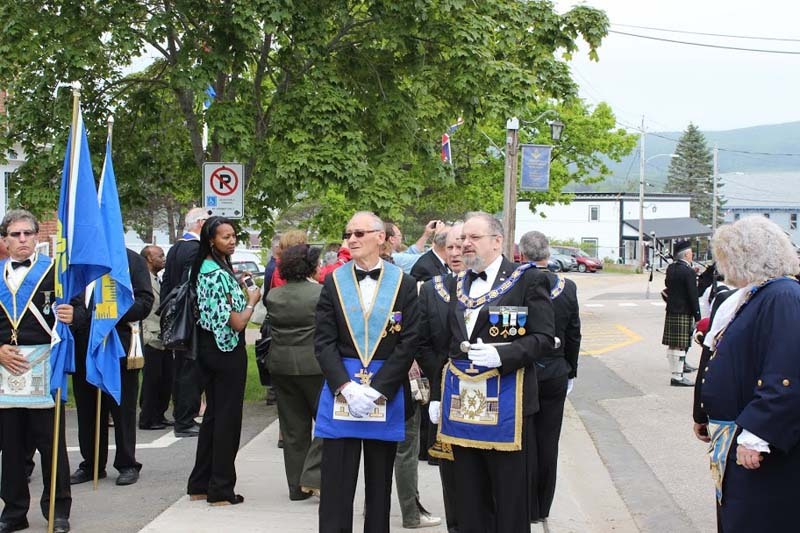 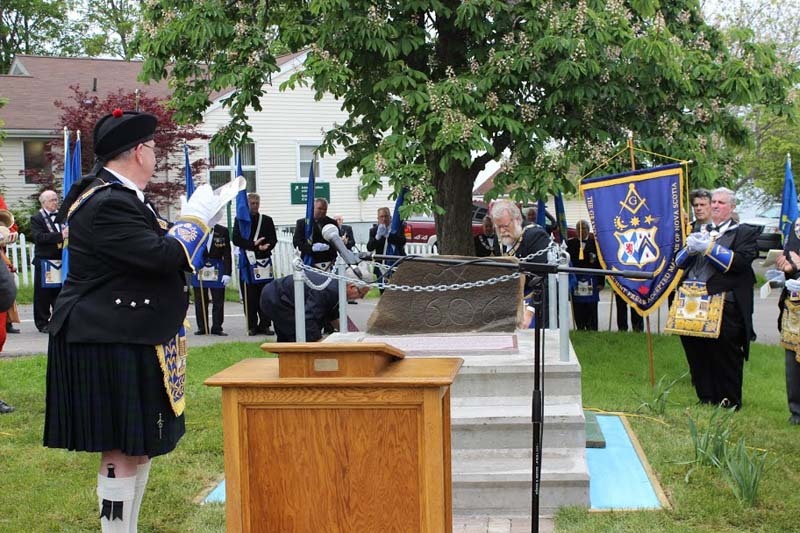 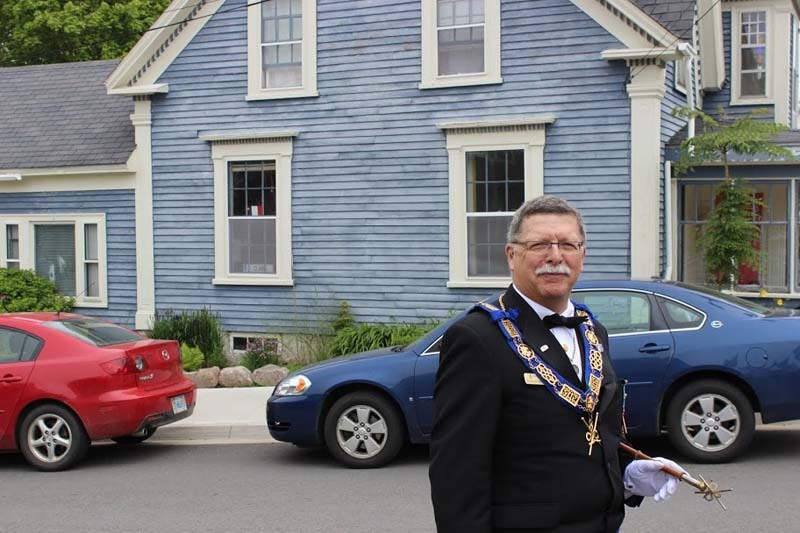 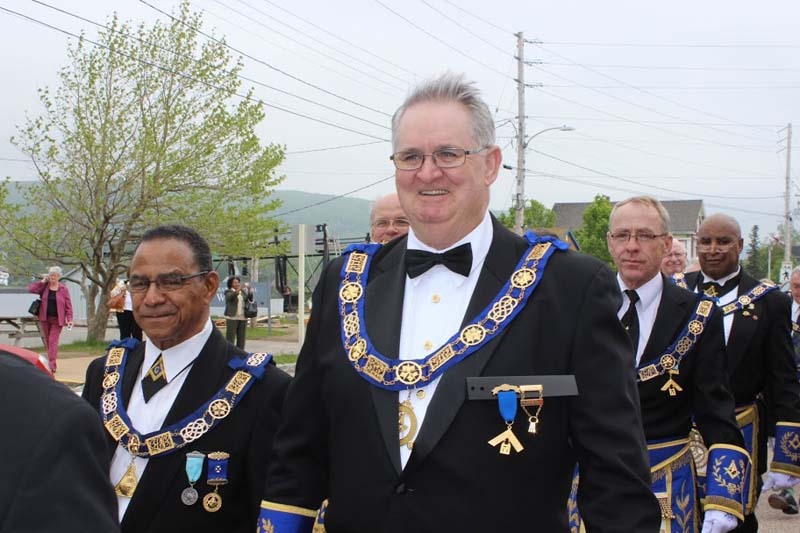 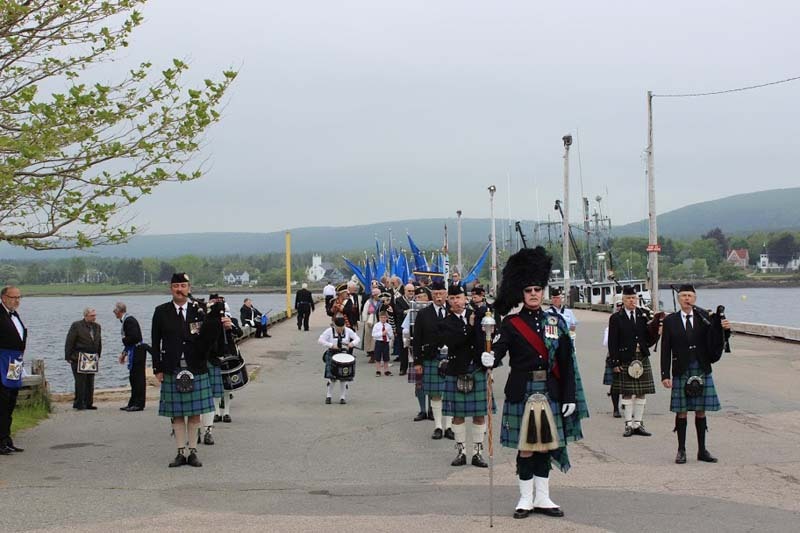 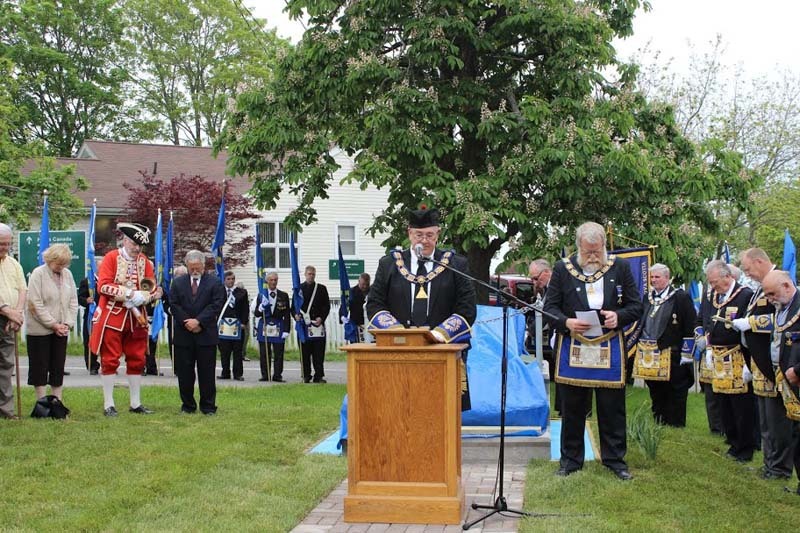 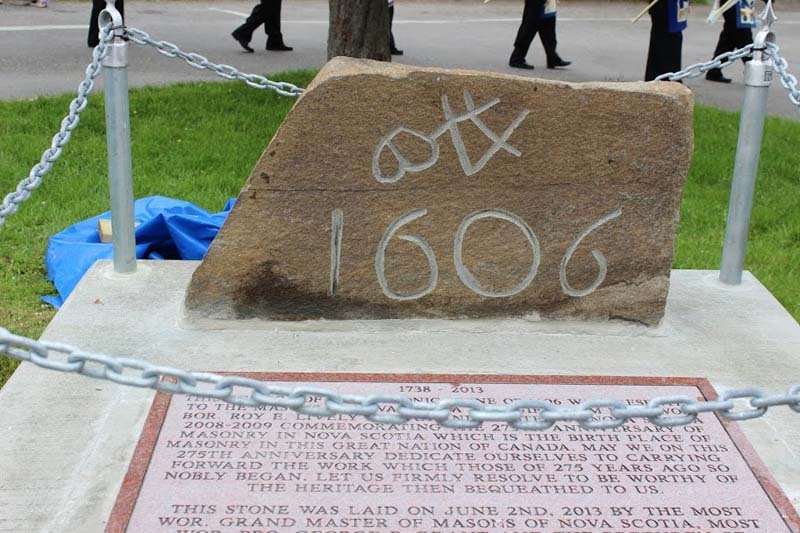 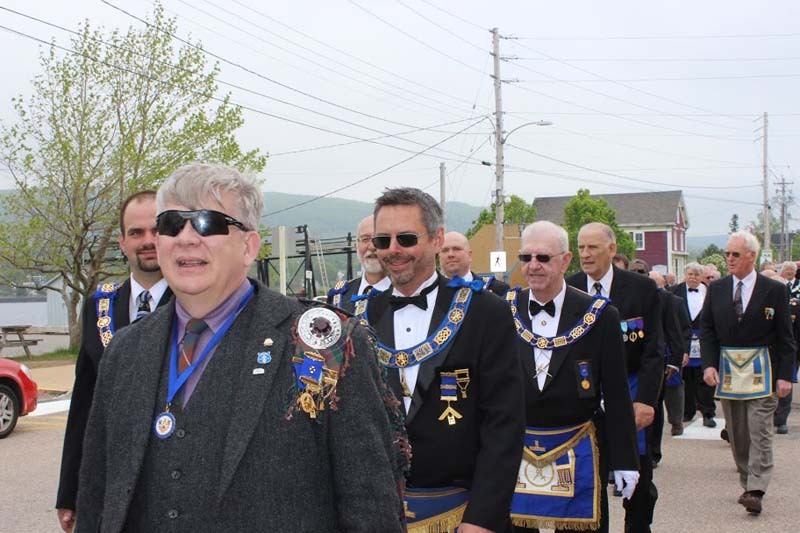 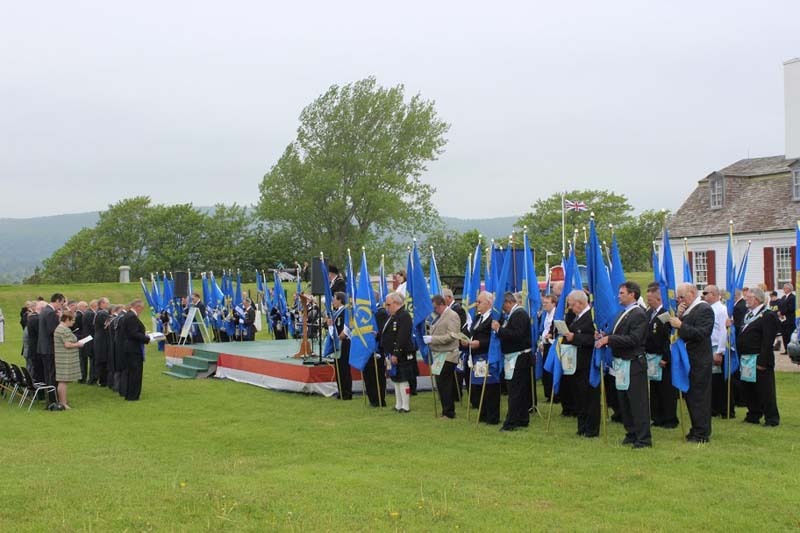 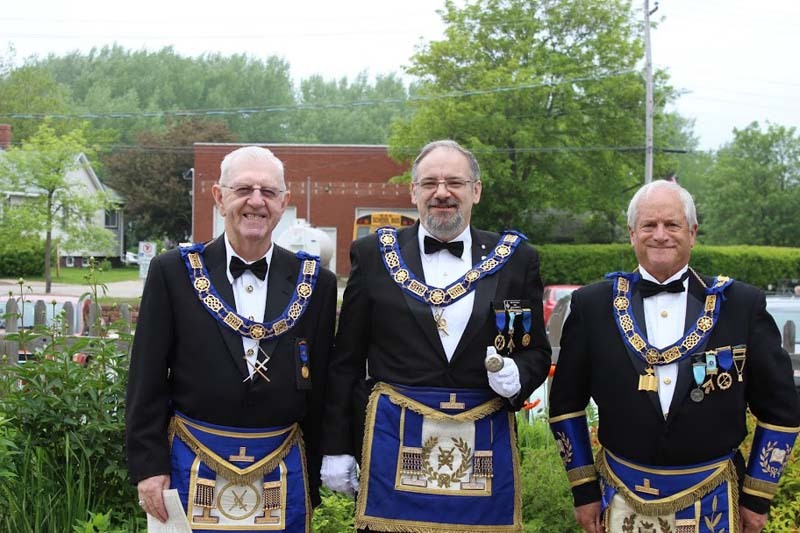 275th Annapolis Royal Parade 2013 – Masons gathered in Annapolis Royal, Nova Scotia to celebrate the 275th Anniversary of Freemasonry in Canada by participating in the dedication of the replica of the 1606 Masonic Stone! 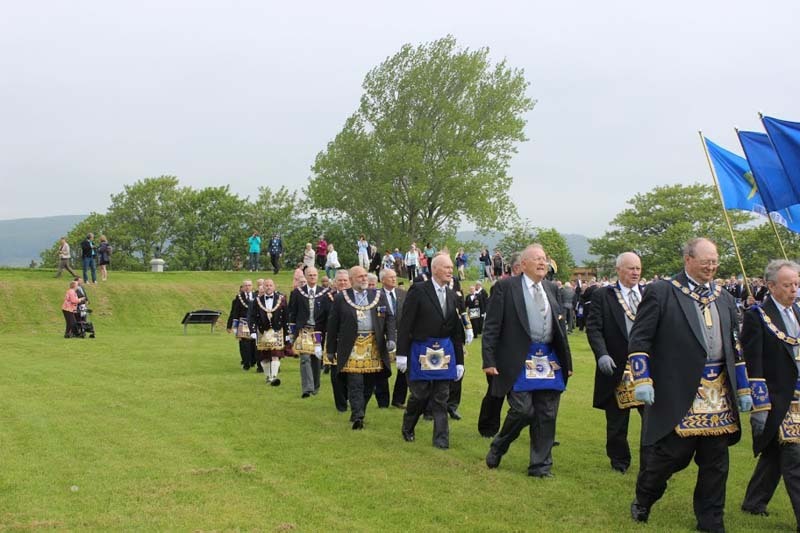 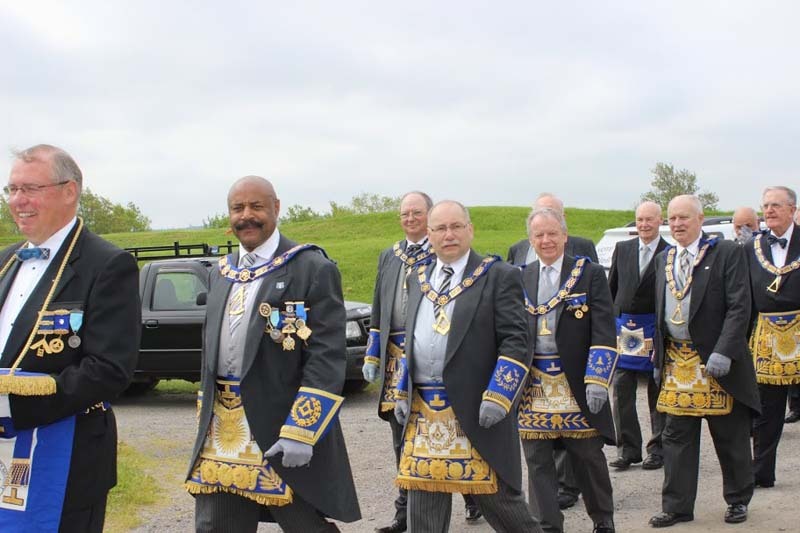 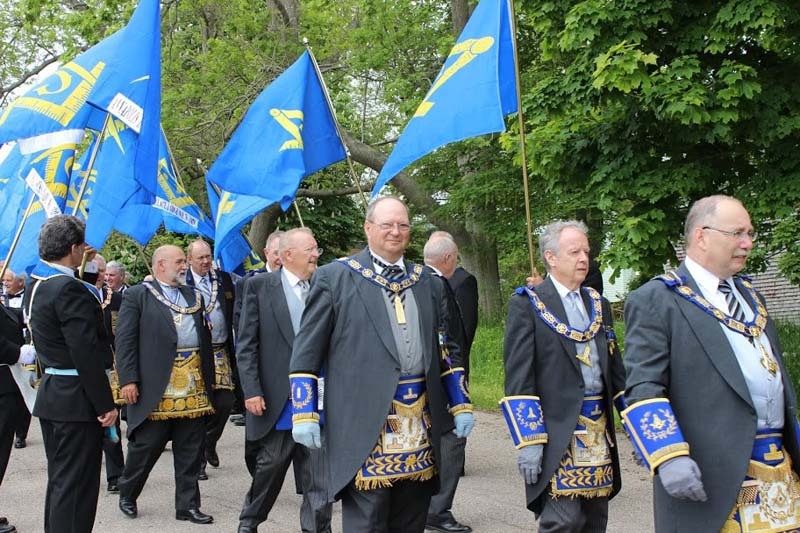 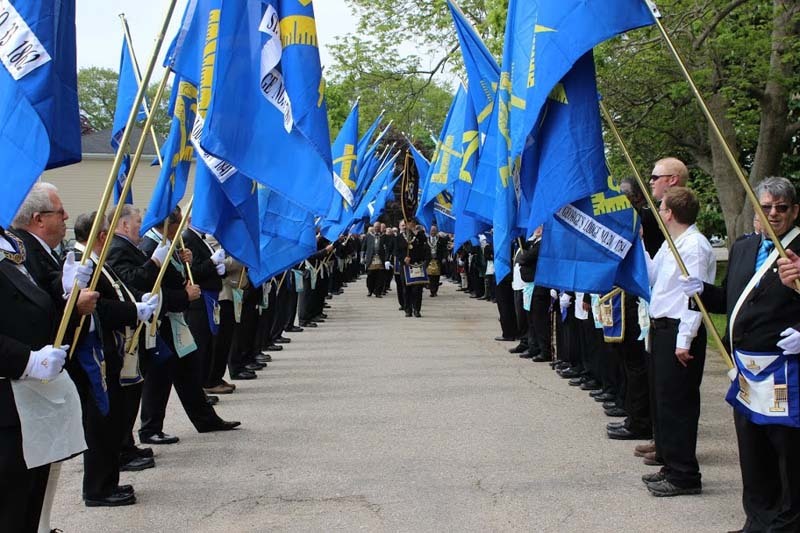 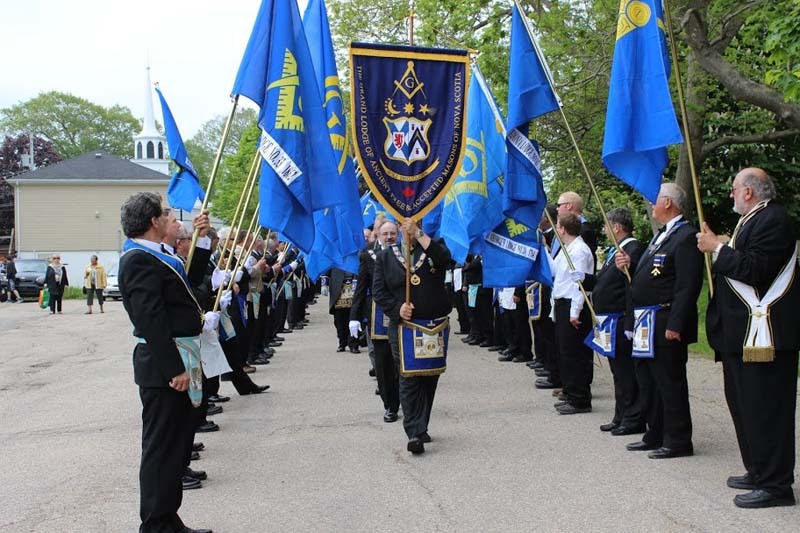 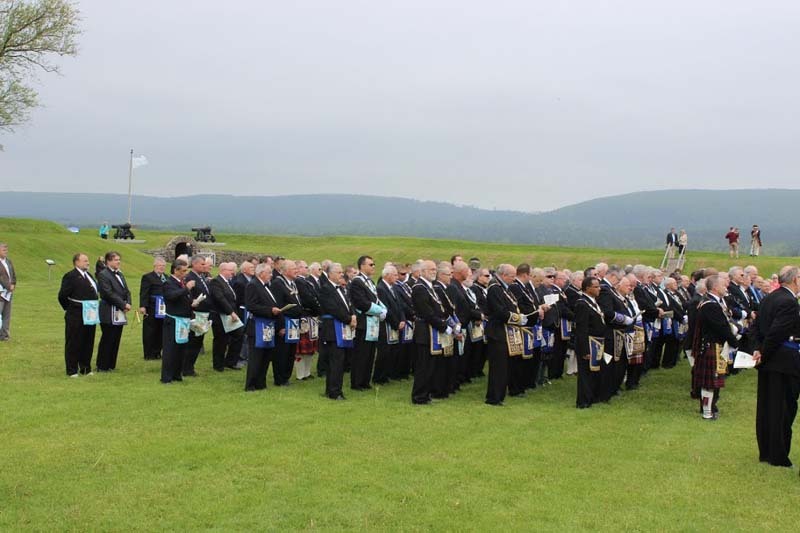 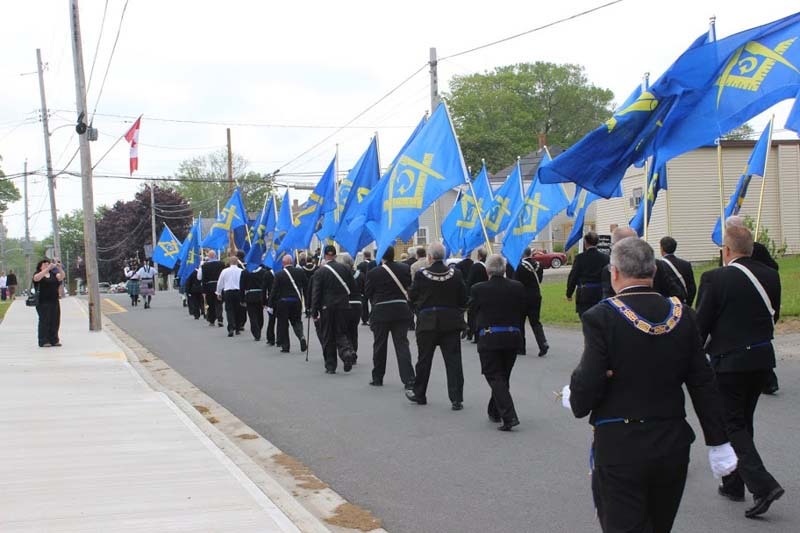 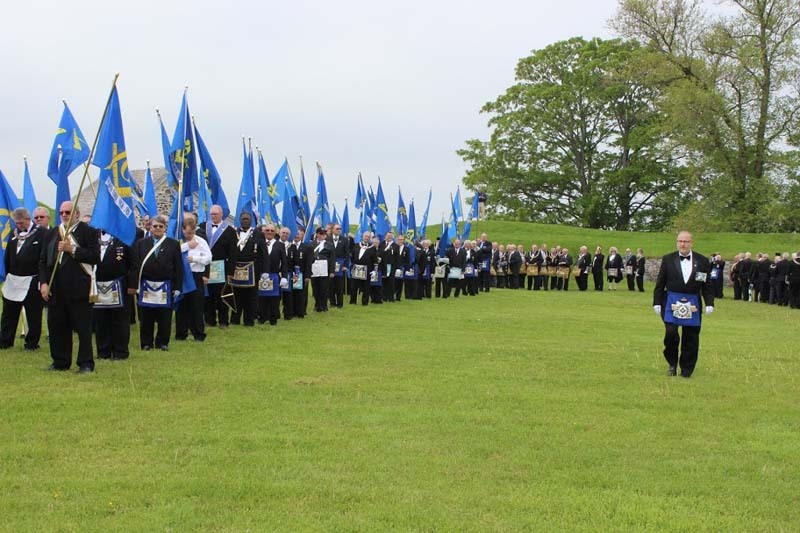 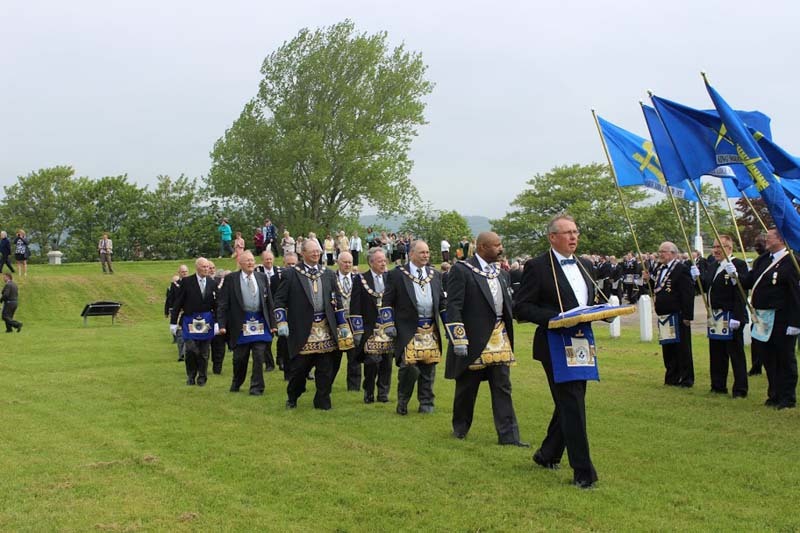 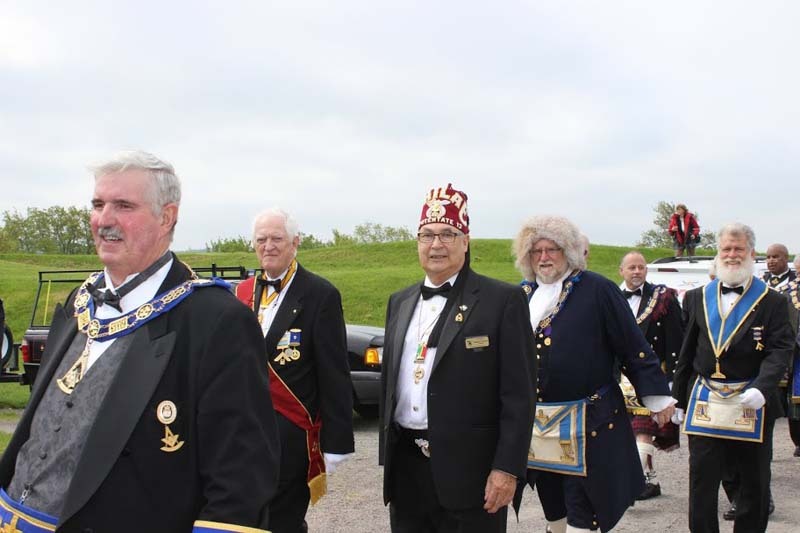 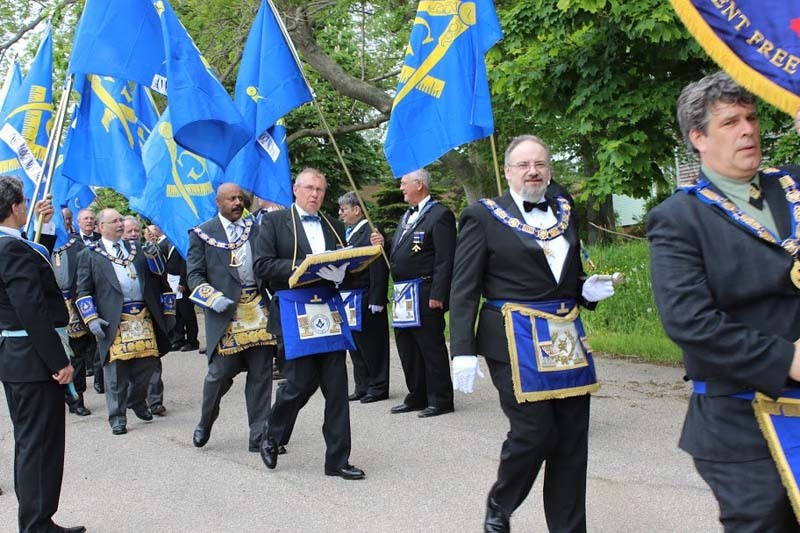 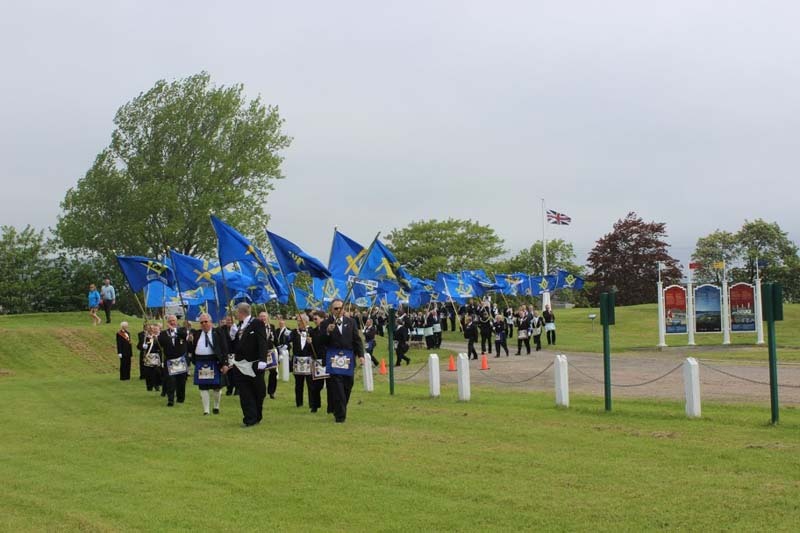 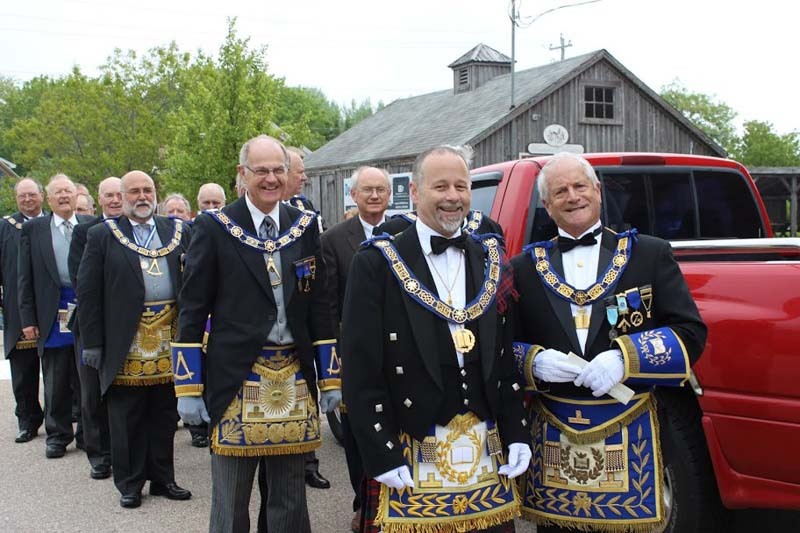 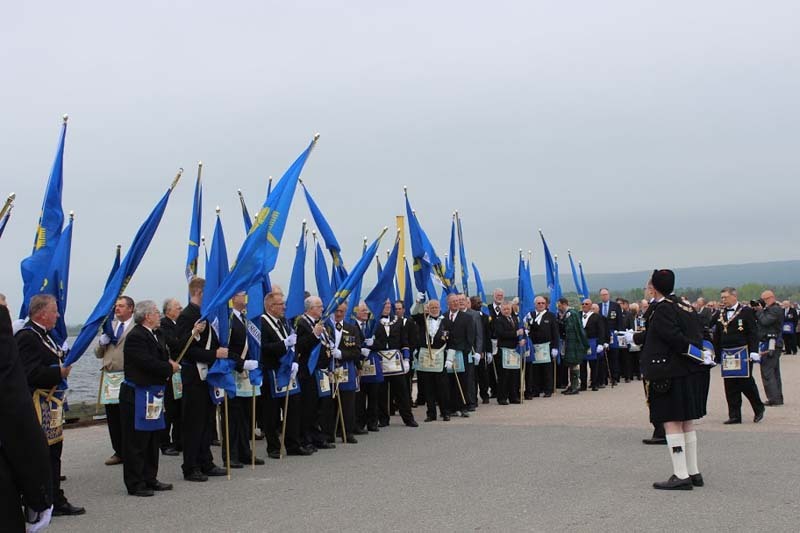 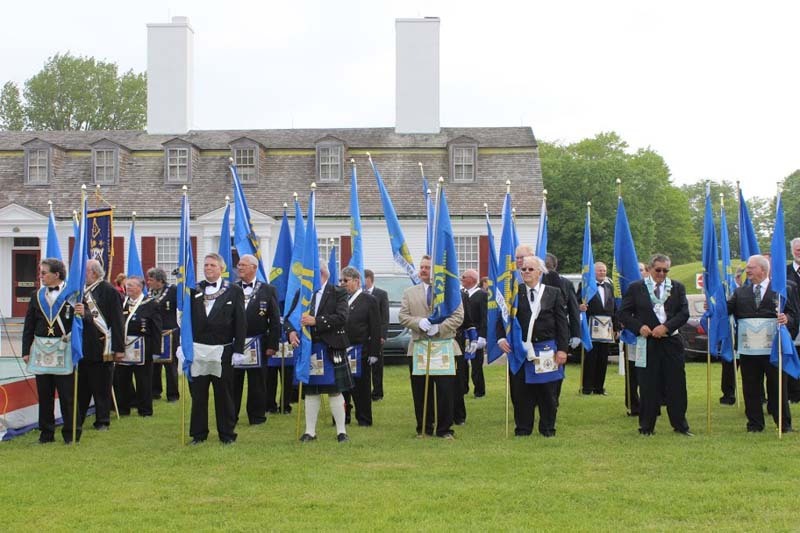 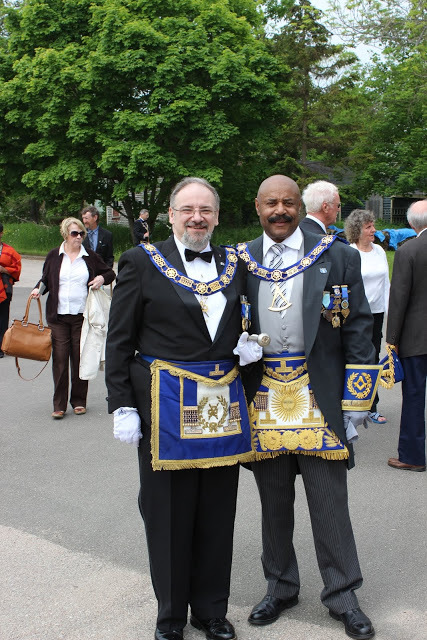 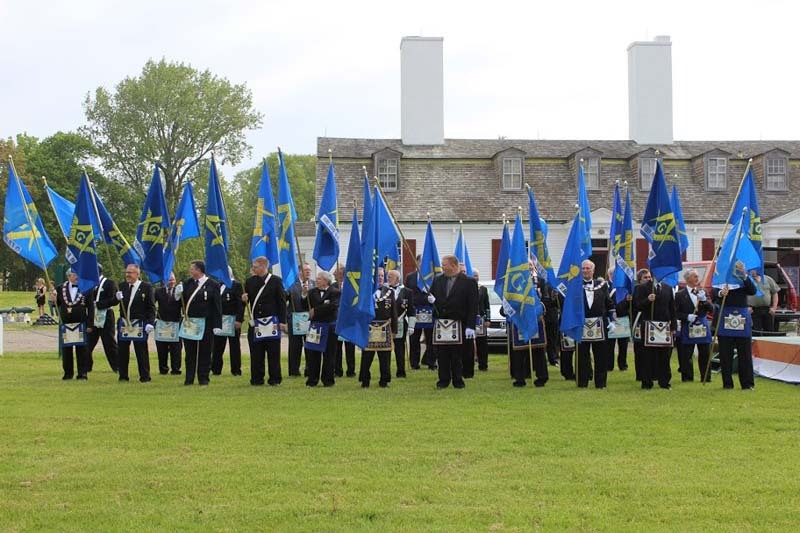 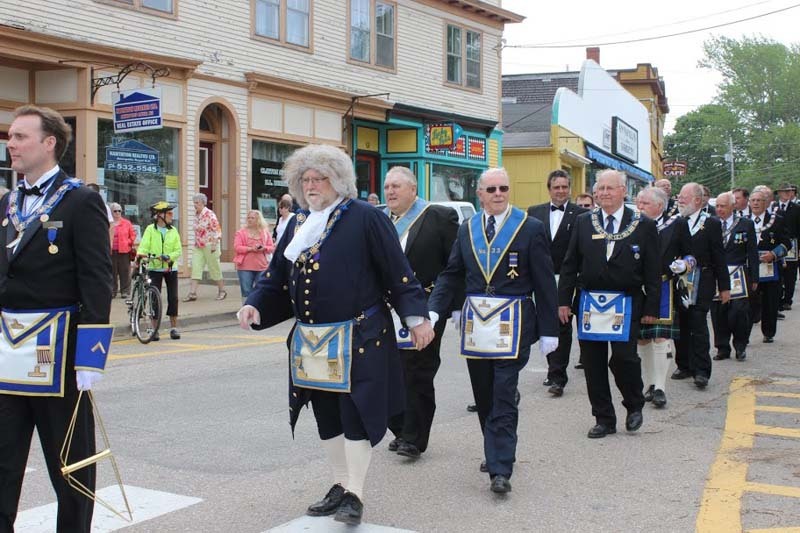 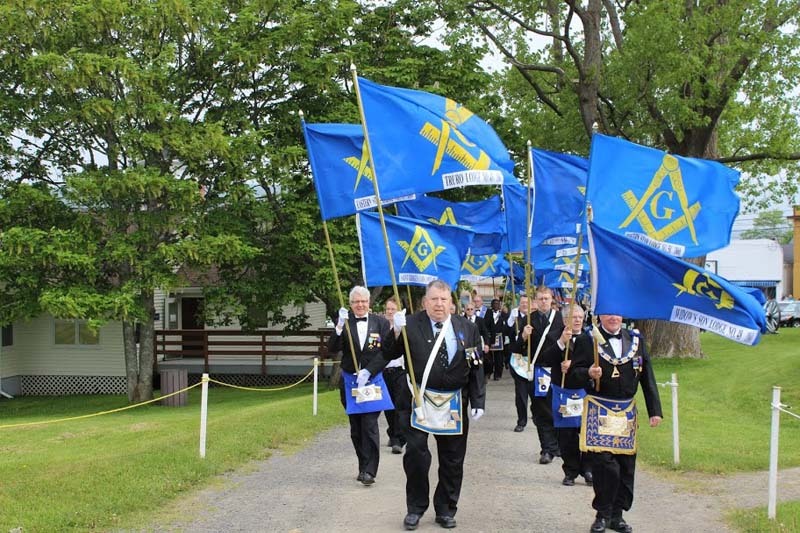 The Masons paraded to the grounds of Fort Anne where the Grand Chaplain, RW Bro. 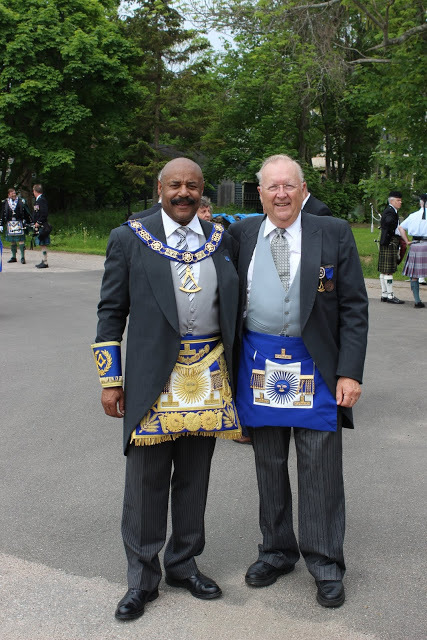 Sandy Buchan and the Rev. 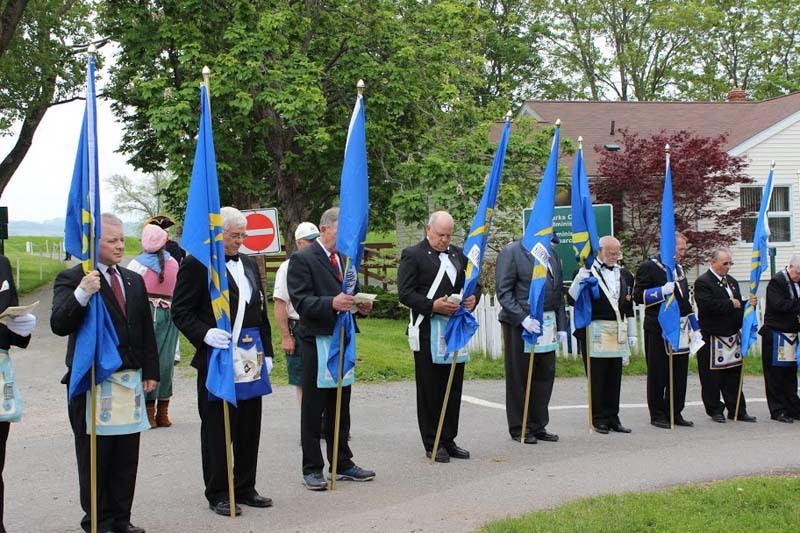 Catherine Deloges held a service. 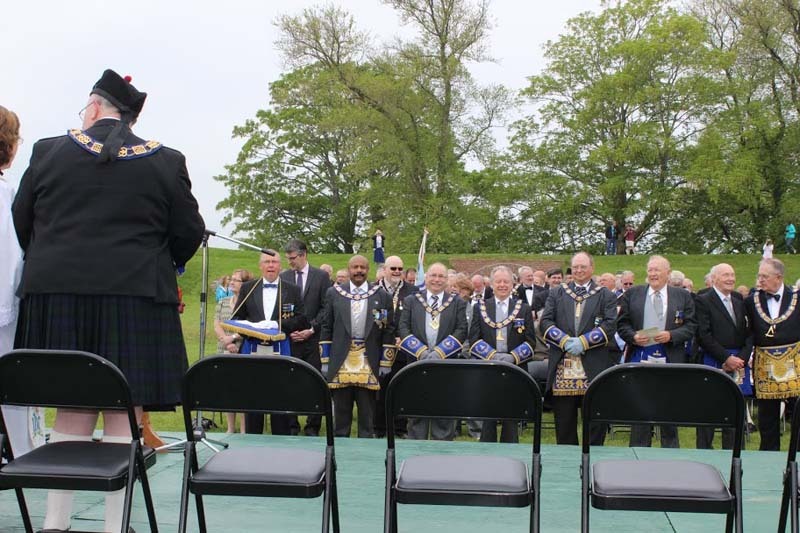 After, the parade of masonic ﬂags preceded by a pipe band led the Grand Master and masonic guests to the town hall where the stone was dedicated. 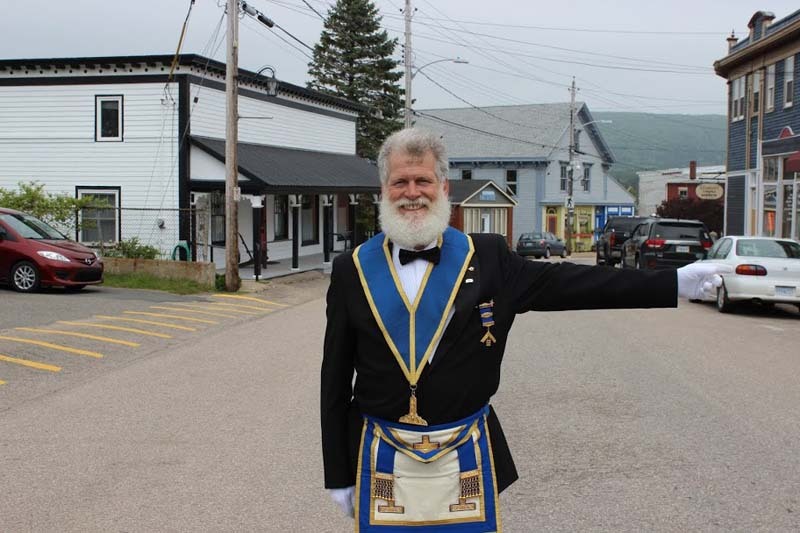 Welcoming remarks were given by VW Bro. 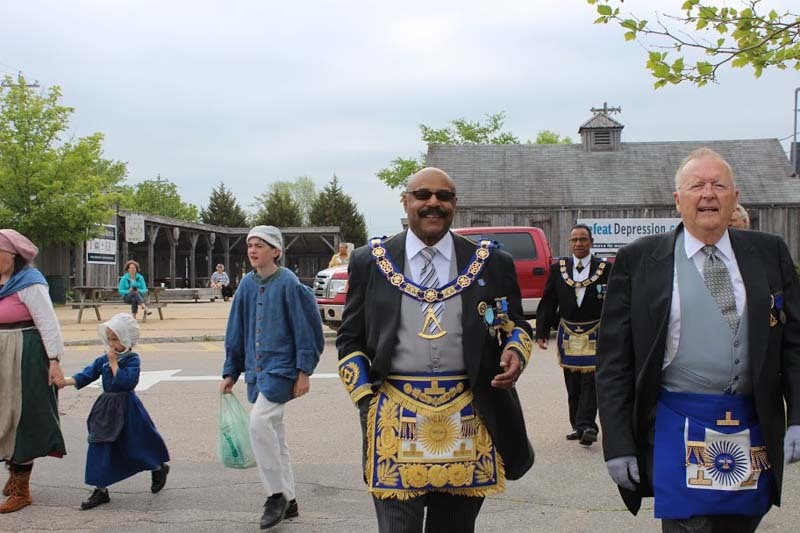 Keith Saunders, DGC of Annapolis District. 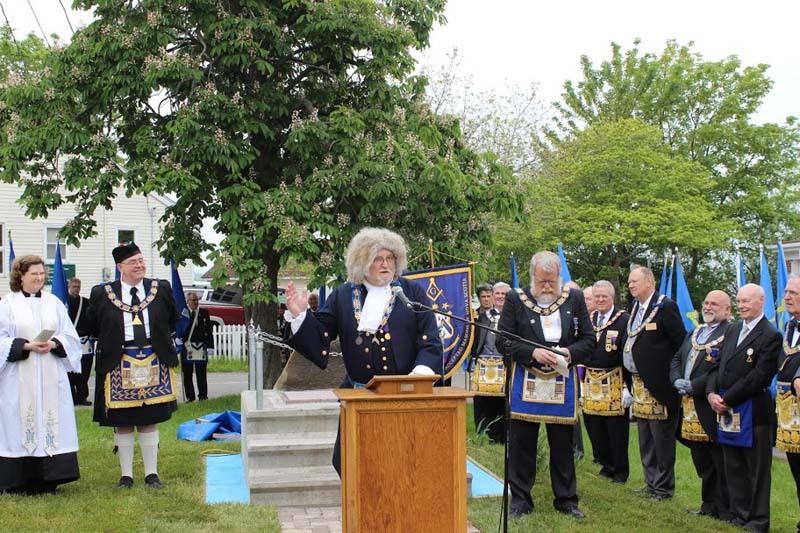 His Worship the Mayor of Annapolis Royal, Michael Tompkins, brought greetings from the town after which the Grand Chaplain dedicated the 1606 Masoninc stone. 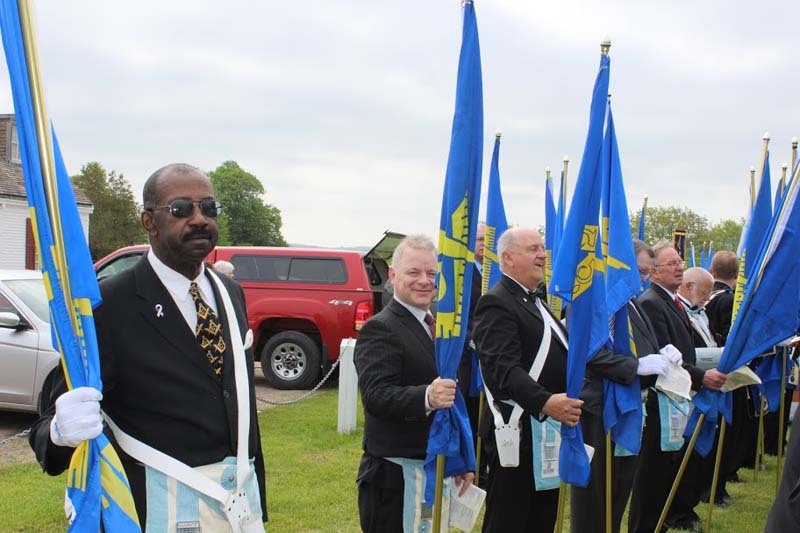 Remarks were then heard from RW Bro. 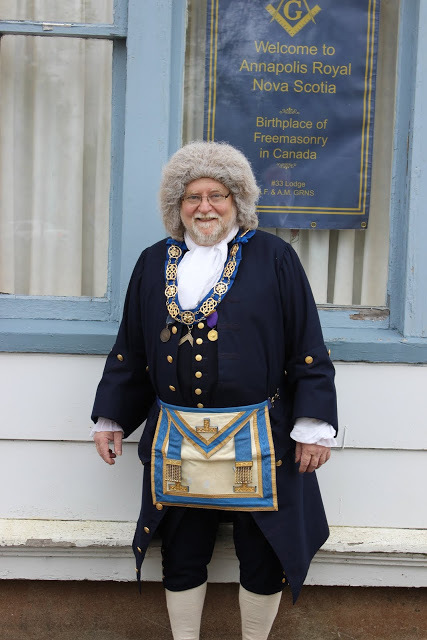 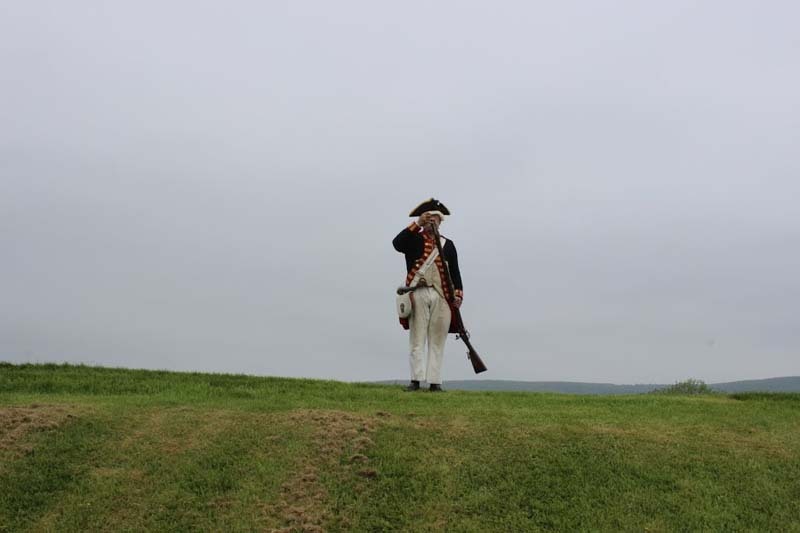 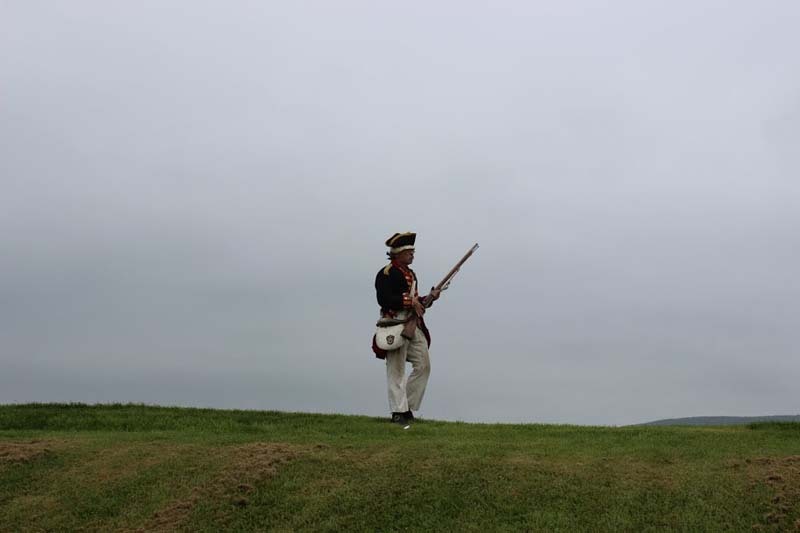 Holger Mueller-Sparenburg, Master of Annapolis No.33 who was dressed in the costume of the 1700’s! 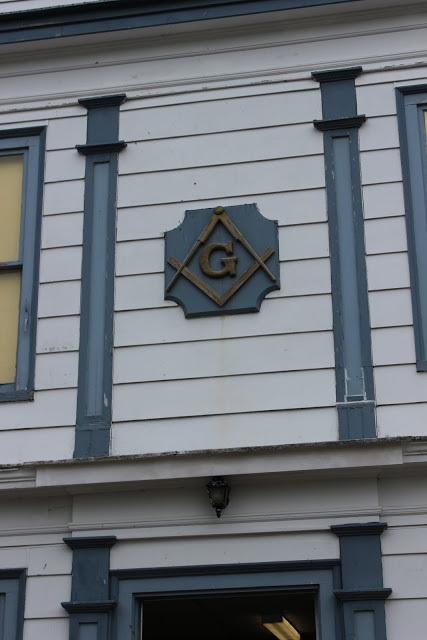 The MWTGM, MW Bro. 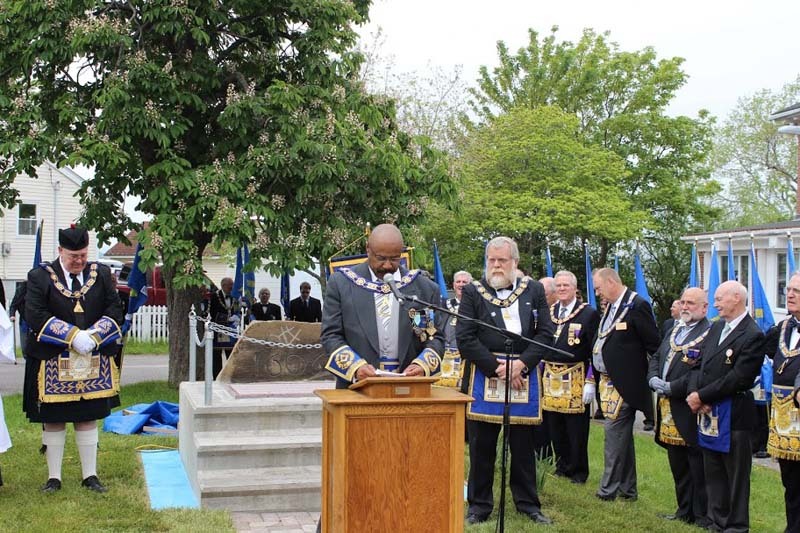 George Grant then spoke to the assembly, after which the Rev. 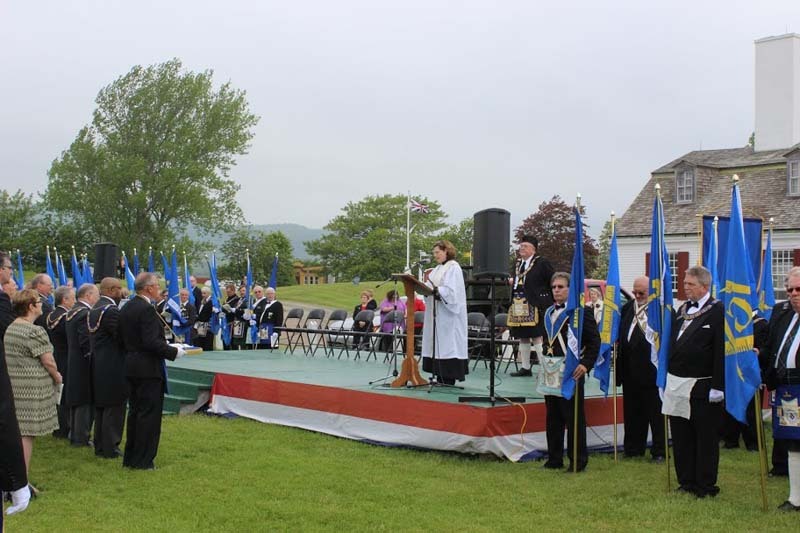 Catherine Desloges gave the benediction! 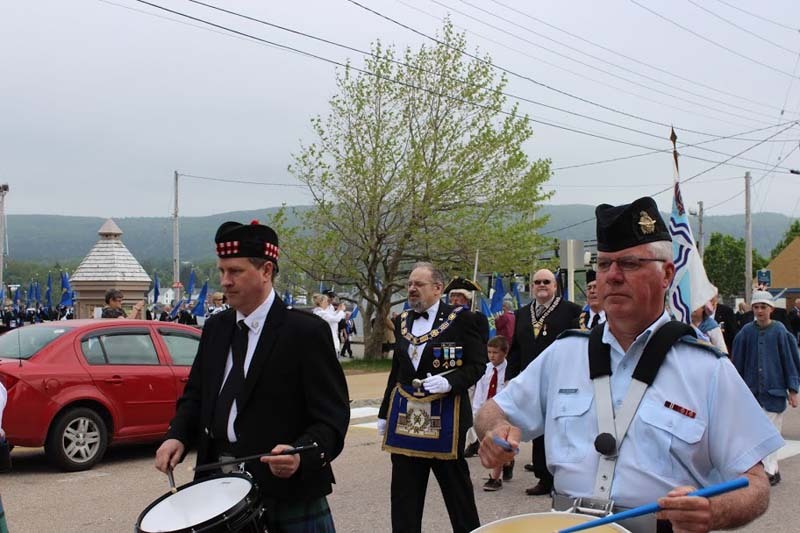 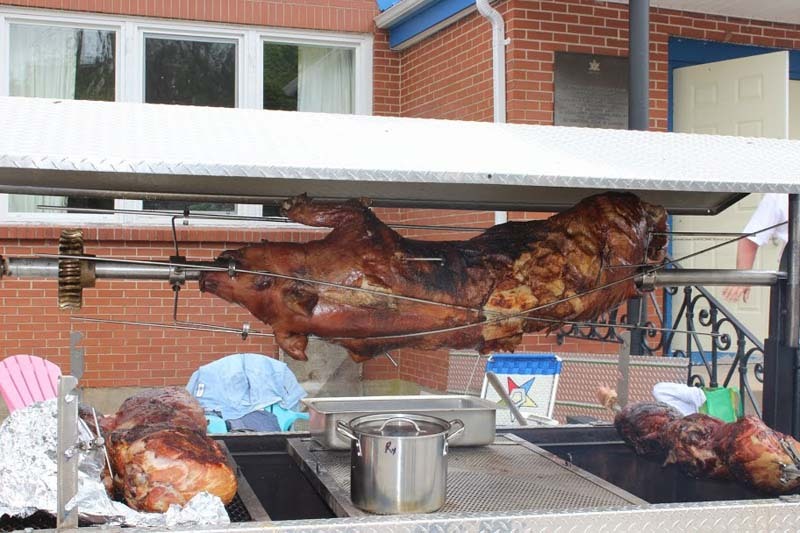 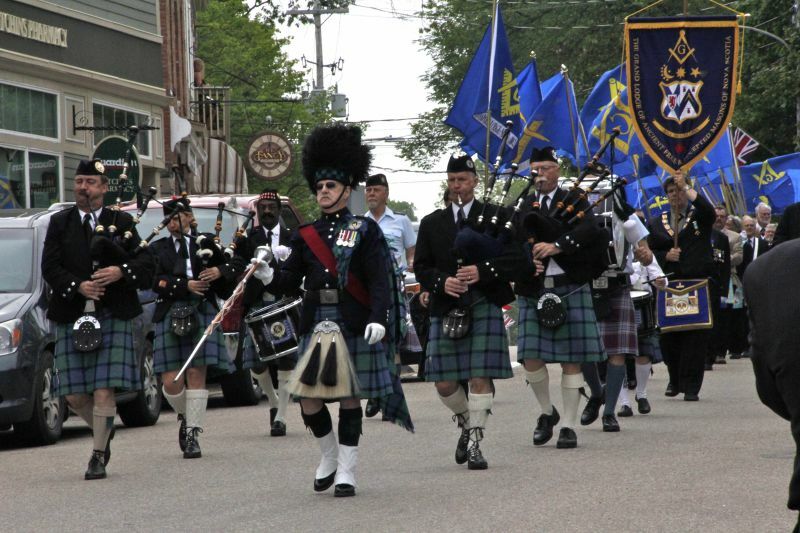 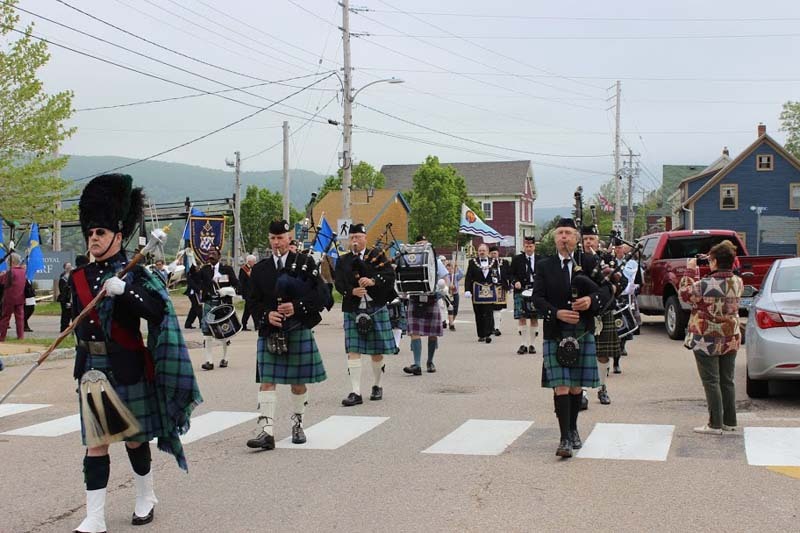 The parade then followed the pipe band to the local Legion hall for a wonderful pig roast and a celebratory cake.